Find and match all card pairs to reveal the complete playfield as fast as possible. Maybe you remember memory games from your childhood. 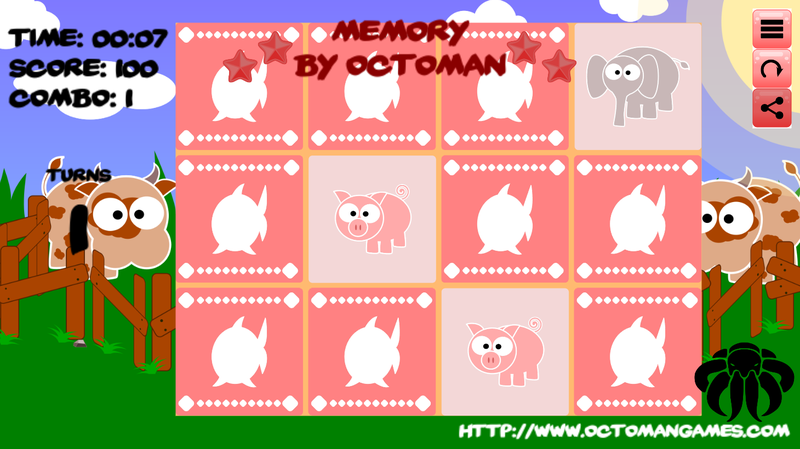 This memory game has more features then usual ones. The intergated combo system can increase your scrore drasticly. But you would need more turns or alot luck, to achieve higher scores. Whats the highest score you can get?